Some time ago, Barclaycards released the Lufthansa Premier Miles & More® World MasterCard®. Well, great news! It’s back for another session. You can now get up to 50,000 miles 35,000 miles for spending a mere $5,000 within the first 3 months. This card has a lot of value in my opinion, because you can redeem them for TWO Round Trip tickets on United Airlines domestically. However, you can also use the miles to fly to Europe on Lufthansa, or any Star Alliance carriers for a mere 50,000 miles ROUND-TRIP! Just look at the map below and you can get an idea of how much it costs to go where with these miles. If you do not have a Miles&More account, open one up for FREE . There’s some hidden beauty in this deal because I get a lot of questions from friends on how to get free airfare to Hawaii. 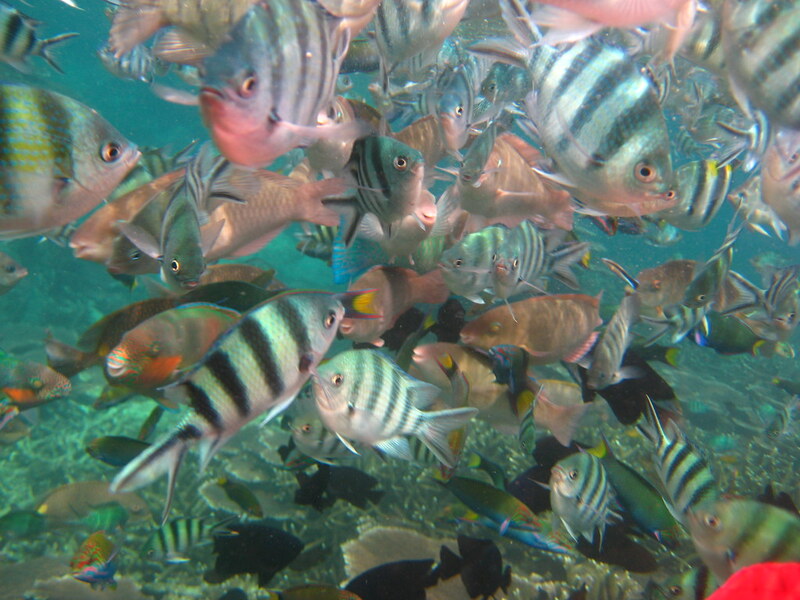 Well, this could very well give you airfare to Hawaii for $79 (annual fee charge). I think that’s pretty darn good. Secondly, Miles&More members get better availability for award seats on Lufthansa, than it’s partners like United. You can easily redeem your miles for an award ticket to Europe without the headaches of trying to redeem United miles to fly Lufthansa or Austrian Airlines to Europe. Sometimes, they offer Mileage Bargain redemptions, which reduces the cost of award travel to 30,000 miles for coach travel to Europe and 55,000 miles in business class, round-trip to Europe. I think that’s another great feature of having the card. 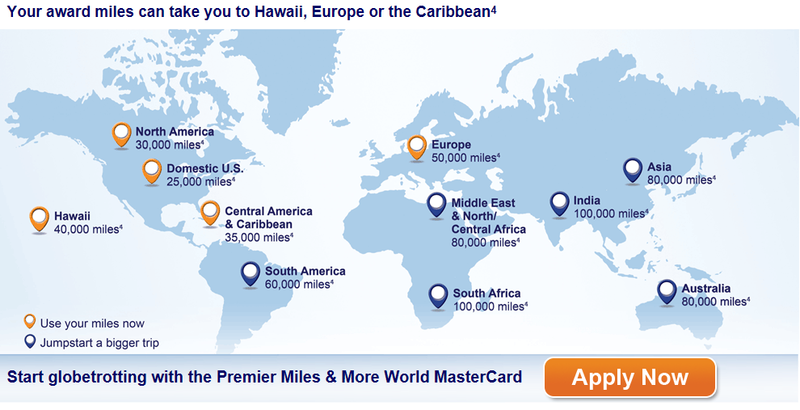 The Lufthansa Miles&More Mastercard is great travel rewards card to get, if you want two free domestic tickets. The value in redeeming 50,000 miles covers the cost of the annual-fee no problem. There are great reward options to be had, such as round trip to Europe for 50,000 miles. The miles can be easily redeemed for flights on Lufthansa and other Star Alliance carriers. These mileage rates are based on a round-trip award ticket. The sucky part of LifeMiles, is they charge you $25.00 to book the award ticket, whether you call them, or do it online. They also charge $150 to change an award ticket, so be sure you are set on your dates and plans. The cool thing about Avianca is they do NOT have fuel surcharges on partners, meaning if you fly United, you won’t get dinged with fuel surcharges on the award ticket Another plus is the website is pretty easy to navigate, and find flights. Below is the link for the US Bank application page. No annual fee the first year, $75 thereafter. Be aware, this offer ends April 28th, so apply soon!! The second great credit offer on the block is the new Hawaiian Airlines World Elite MasterCard from Barclays. This is nice, because many people who had the previous card, offered from Bank of America , can also get this one, since this is a completely different card. This card does have an annual fee of $89, but you get some pretty good perks with the card. There are no foreign transactions fees, and if you use the card to buy your tickets on Hawaiian Airlines, your first bag is checked free. Pretty standard these days, but nonetheless, a nice touch. You also get a 50% coach companion ticket, but not sure if that applies for all fares or just the flex full coach fares. So what does 35,000 miles get you on Hawaiian Airlines? Barclays is once again offering the Lufthansa Miles&More Mastercard® with a 50,000 miles sign-up bonus! They had this offer earlier in the year, and it was very popular, as the normal offer is only 20,000 miles. However, with 50,000 Lufthansa miles, you can fly on United or US Airways to anywhere in the U.S. Of course if you have Lufthansa miles, this will only help you get closer to that first class seat with them, as currently, they only offer those to their members of their own program. You can also use those miles to fly round trip to Europe, on Lufthansa, or any of it’s Star Alliance partners. The card itself is a great card with excellent benefits (see below). 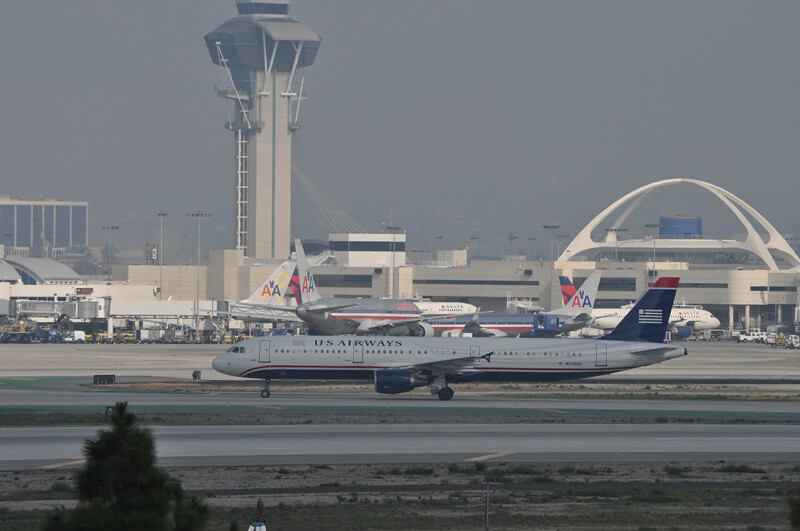 Remember, you can redeem these miles on United Airlines and US Airways for domestic travel. Click on the link below for more info and to apply. 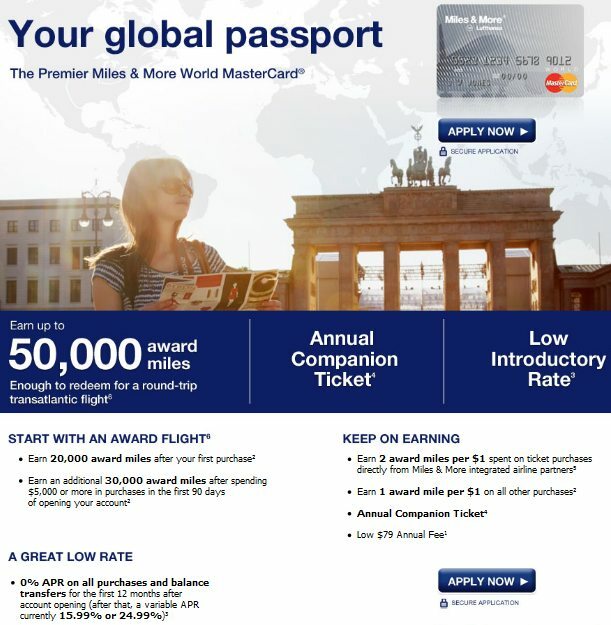 Lufthansa has finally joined the band wagon of offering 50,000 bonus award miles on their Miles & More World Mastercard by Barclays. This is actually a great offer and let me tell you why. First, this equals two round trip tickets on United Airlines and US Airways, which the miles can be redeemed for. United Airlines & USAIR are Star Alliance members, and Lufthansa is in the brotherhood. Secondly, there are NO FUEL surcharges when redeeming for domestic tickets. Third, this card is offered by Barclays bank, which pulls from Trans-Union, and if you have little inquiries from them, this will help you get approved. I do recommend a high credit score though, to receive this, however, you can still get the full 50,000 miles even if you are approved for the lesser platinum card, instead of the World MasterCard. In the past, Barclays use to screw you over by giving you the lesser card AND the lesser bonus, but not this time! 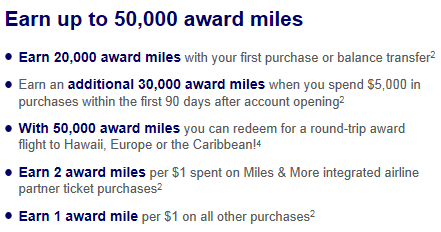 Okay, here are the details to get this 50,000 bonus miles. You need to spend $5,000 within 3 months (very much possible and I can show you how). You earn 20,000 miles after your FIRST purchase (can be anything….even a Twix bar at Fred Meyer or something)……….and you get the remaining 30,000 miles after spending $5,000 total in 3 months. There is a $79 annual- fee but you are getting basically TWO FREE round-trip flights, so this really pays for itself and then some. 50,000 miles on Lufthansa will get you a head start in redeeming for those hard to get first class seats on Lufthansa and Swiss Air, which are not available to partner airlines anymore. However, there are fuel surcharges when redeeming for international flights, so keep that in mind if that is your goal. Budget your trip(s) accordingly. If you have questions, please comment or email me and I will be glad to help you out!! I am personally getting this, as I do see value in it. It gives me greater flexibility for redeeming flights on United Airlines, as I have already gotten the United Mileage PLUS VISA card, which gave me 50,0000 miles. Holiday travel is expensive, and these miles will come in handy!! You may use the link below, or click on the image above. Barclays has come out with a new offer for their World Mastercard. It is a great offer and I urge you to jump on it, as its basically a $400 airline ticket, hotel, or cruise fare, and it’s good anytime. Annual Fee Waived the first year!!! UPDATE: This deal has EXPIRED!!! 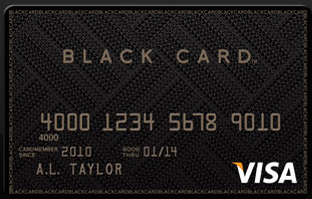 Barclay’s is back with another NFL Signature VISA card offer. When it first surfaced, it was 40,000 points after a mere $1000 spend. This time, the bonus is 40,000 points after spending $2500 within 90 days of activation. I actually got this card last year when they were running the promo after the super bowl. However, the bonus was only 20,000 points after spending $1000. This was basically a $200 statement credit. I just canceled it, but I will re-apply if the offer is available in 30 days. I just completed a quarterly churn in December, so I need to wait. I purchased something at Amazon for $200, and charged it to my card, and when the purchase posted, I used the bonus points to pay for it = FREE. In this new offer, you get $400!! One reader suggested purchasing a $400 e-certificate for United Airlines, or $400 to put in your Alaska Airlines E-wallet, for future purchases on airline tickets. You can use this for almost anything though, and doesn’t have to be travel related. If your credit is good to excellent, you will be approved almost instantly, as most readers are reporting. 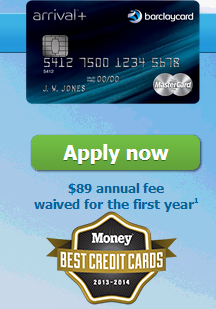 If you are due for a churn, or looking to add a Barclays card to your portfolio, I think this should be it. For Oregon, they pull out of TransUnion credit bureau. Basically, this is FREE MONEY!! How ya gonna beat that? Questions? Email me or post a comment. Good Luck! The Black Card – Only for the Privileged?